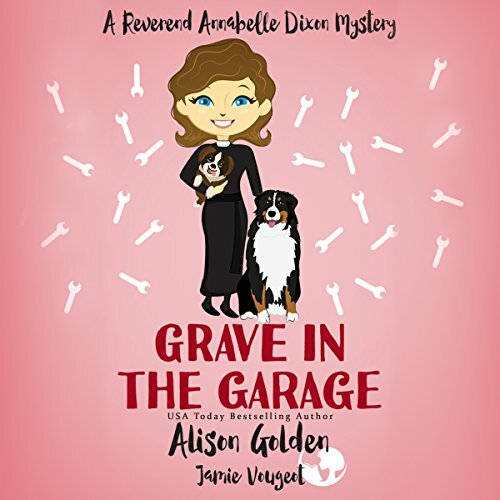 Showing results by author "Alison Golden"
When her beloved Mini Cooper breaks down, Reverend Annabelle Dixon stumbles upon a gruesome scene at the Mildred’s Garage...a lifeless hand peeking out from the pit beneath a parked car. Across the road, Inspector Mike Nichols is in Upton St. Mary on personal business, yet that business is soon overshadowed as the stalwart, logical detective finds himself embroiled in yet another mystery with the kindhearted and tenacious vicar. Reverend Annabelle Dixon is the charming, very tall, thirty-something vicar of St. Mary’s Church, which is located in the picturesque village of Upton St. Mary in Cornwall, England. Recently appointed to her rural church position, Annabelle is beloved by her parishioners for dispensing good advice and godly wisdom with humor and charm. Trouble arises when Annabelle faithfully welcomes a new resident to her quaint parish. Her visit to the latest newcomer, Sir John Cartwright, is twofold: to greet him and to dispel rumors of shady doings at the manor. 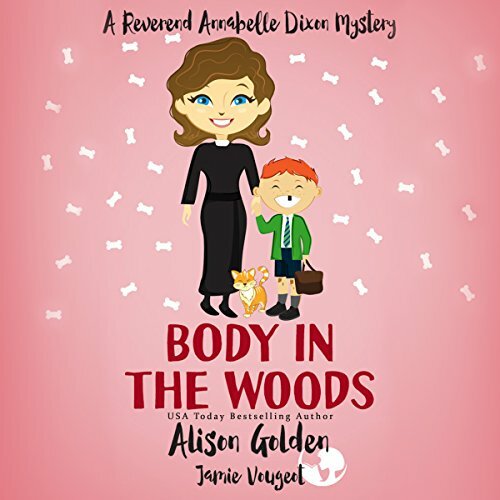 When a young boy is running home through the woods, he finds a bone: a forearm to be precise; a human forearm. 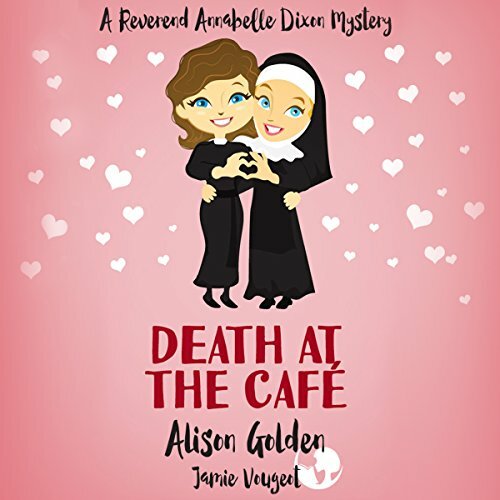 This discovery sets in motion the reopening of a cold case that Reverend Annabelle Dixon, it seems, simply can’t leave alone. In the quiet and relatively uneventful village of Upton St. Mary, gossip arises as word spreads that a body has been found in the woods. Once the investigation begins, the forensic team believes that it has been there for over a decade. But the question remains: who was buried there all those years ago? 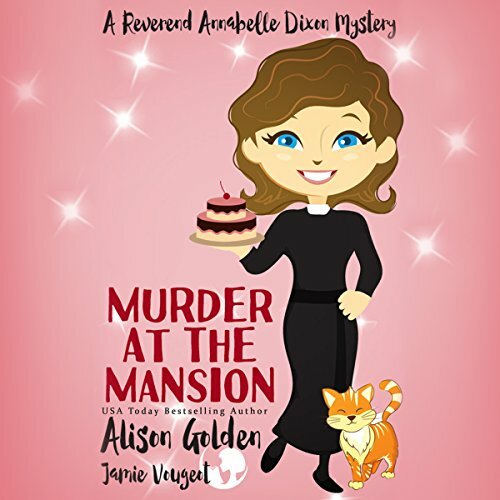 When Reverend Annabelle Dixon is given the chance to fill in for the local minister on the tiny, storm-lashed Scottish island of Blodraigh, she sees it as an ideal opportunity to make the most of the trip and spend some time with her brother and seven-year-old niece who live there. What she doesn’t expect is to be drawn into a web of mystery and intrigue that shows up each and every flaw of the tight-knit islanders. When a box of valuable jewelry is found and given to her for safekeeping she stores it in the church, only for it to be stolen that very night. But something much worse is about to happen.